Choosing a school for your child can be one of the most important parenting decisions you make—and one of the most agonizing. How can you know what environment will help your child thrive? Where your child will receive the best education for him or her as an individual? Whether public or private school is best for your child, and for you as a family? You can begin by being a student yourself and learning about how public and private schools differ. Some of the differences may surprise you. Public schools cannot charge for tuition. Private schools can and do. According to privateschoolreview.com, the average private school tuition is approximately $10,302 per year. Thats an average of both U.S. elementary and high schools for the 2017-2018 school year. But don’t be too quick to think private school is beyond your budget. As a 2014 Time article points out, public school isn’t actually free. “In what might be one of America’s most regressive policies, the government divides the country into school districts, each supported by a local tax base. That means school funding and quality varies drastically depending on where you live, and homes in top school districts tend to be eye-poppingly expensive.” That article, “How Sending Your Child to Private School Can Save You $53,000,” considered all costs associated with private and public schools. In the end, the article conceded that public schools were usually, but not always more affordable. They urged parents to seriously consider both options before making a choice. Since private schools are independent, they can choose the curriculum and assessment models they believe will create the best learning environment for their students. Some public charter and magnet schools can deviate somewhat from traditional curriculum, but they still have to follow state standards. Private schools do not have to follow those standards, which gives them more flexibility, but also means they do not have the “quality control” inherent in public schools. Public school teachers must be state-certified or working toward certification. Private school teachers may or may not be certified, but do have undergraduate or graduate degrees in the subjects they teach. Public schools tend to have larger class sizes than private schools (and classes grow larger in higher grades). But some states have put caps on the number of students in classes, and public schools have to maintain those caps, while private schools do not. Parents and students in private schools sign contracts regarding school conduct. The contracts spell out the expected behavior and the consequences for breaking the school’s code of conduct. Public schools, adhere to government standards of due process and constitutional rights. They often have a more difficult time enforcing discipline. Public schools must accept every student. Private schools have admissions certain procedures and can choose the students they want to be a part of their school. Though private school students’ test scores are generally higher than those of public school students, there is some controversy regarding testing. 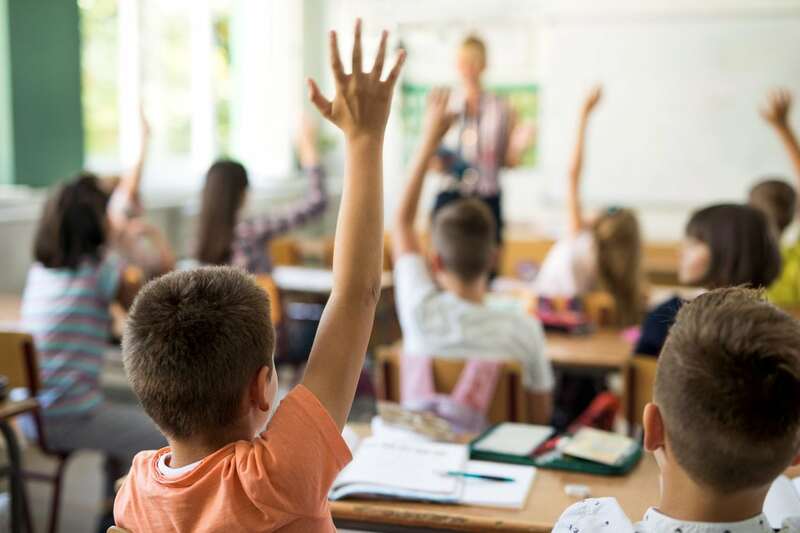 A 2006 National Center for Education Statistics (NCES) study found that some public school students scored as well or better in certain subjects when their backgrounds were taken into consideration. But Harvard University disputed the NCES results. Using the same data but different methods, Harvard’s Study found that private school students came out ahead in 11 of 12 comparisons of students. Though the public school graduation rate is rising (84% in 2016), private school students graduate at a higher rate (95% and up). And there may be another, less tangible difference between public and private schools: attitude. Since private schools can choose their students, they often have a higher percentage of those who are motivated to learn. Of course, that’s what all parents want, for their children to be engaged in their education. And of course, students, schools, and communities all have individual strengths and weaknesses. Choosing a school for your child will never be an easy decision. Although, now that you know the basic differences between public and private schools, you can ask the right questions—like a good student should. Father of three and the Head of School at Parish Episcopal School (https://www.parishepiscopal.org/).